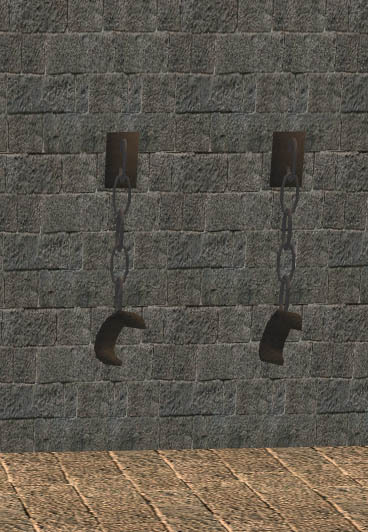 Here are some new meshes to help complete any jail cell or dungeon you want to create. The door is cloned from the sliding glass door and slides when it is open. 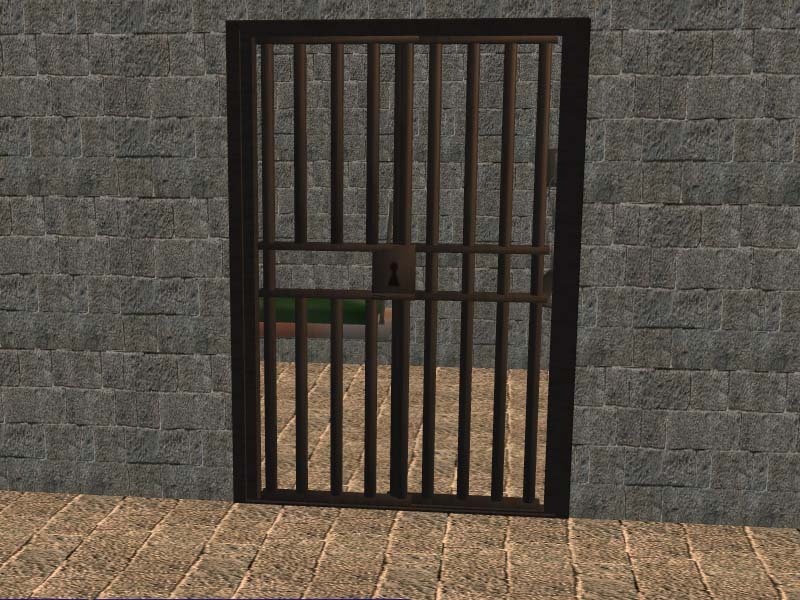 With the door lock options you can actually lock other Sims in a cell. This cot hangs from the wall and uses it's own bedding. 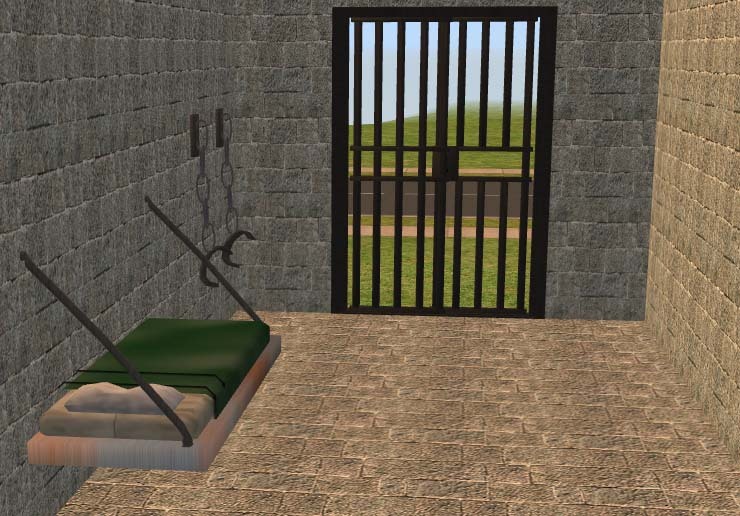 Who wants a jail cell cot with pink flowers? The metal comes complete with rust. Both the bedding and frame are recolorable. These wall shackles are purely decorative and they do not disappear when the walls go down. The walls and floors seen in the pictures can be found here. Thank you to all the writers of the great tutorials here at MTS2. These were created using SimPE, Wings 3D, UVMapper, and Photoshop. Thank you to the creators of these programs. I also want to add a special thanks to the MTS2 Staff Members who approve the uploads for their advice and always pushing me to come up with great designs!